Near Red House. 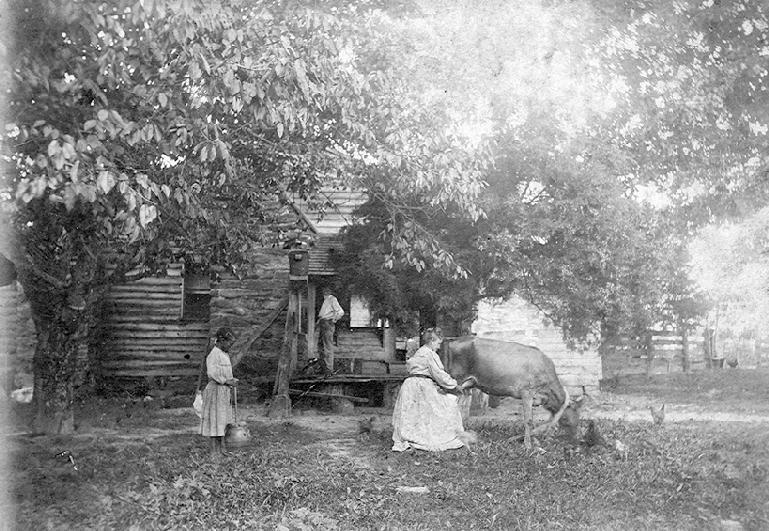 Woman of the house (Elvin Drucilla Clark MacFee) milking with young helper churning. 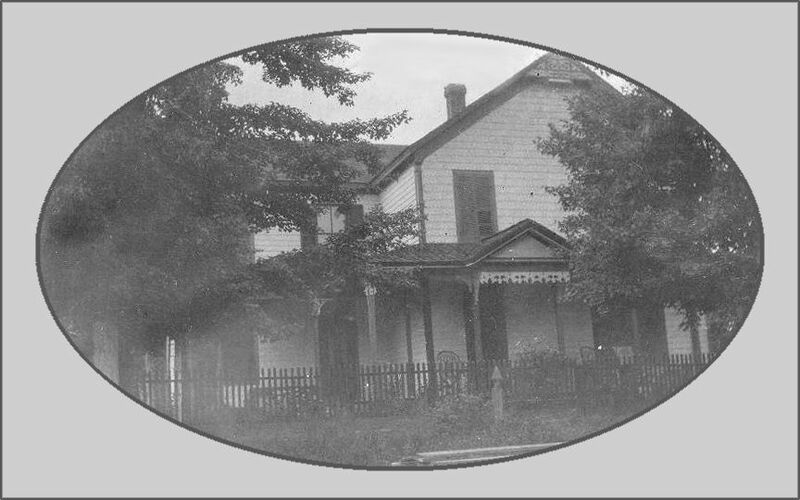 Husband (Edward Daniel Macfee, Sr.) standing on the porch in the back. 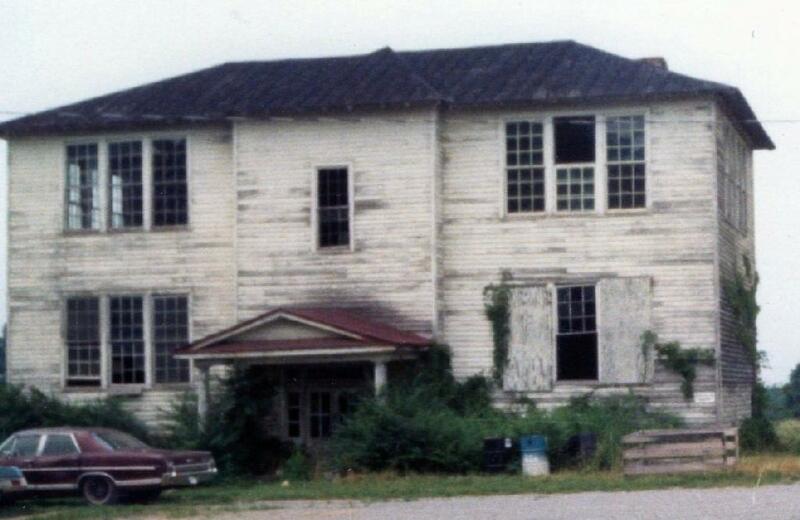 The Keysville Hotel, built by John D. Priddy in the early 1850's, reportedly was torn down about 1970. Probably taken near the turn of the century. 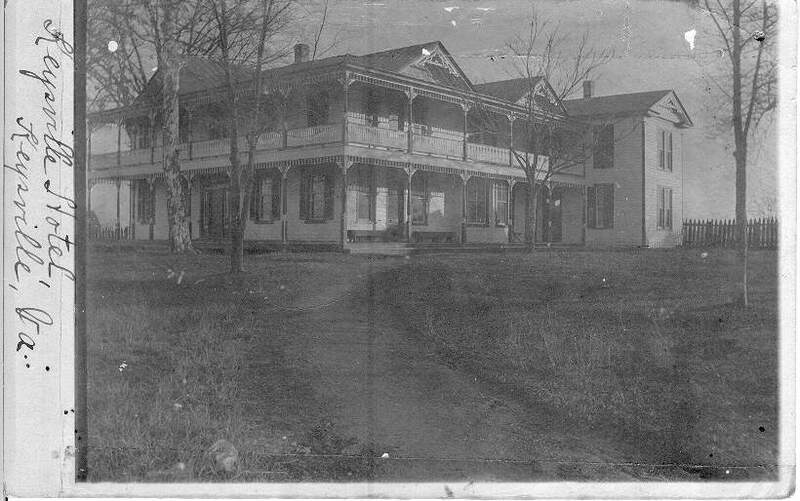 Later photos show the Keysville Hotel without dormers. (See the 1940's photo.) 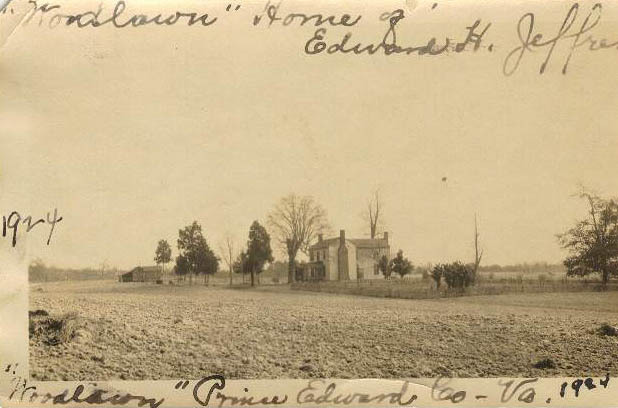 Possibly this resulted from damage by a 1915 tornado. 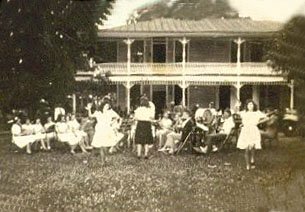 A pictorial history of Keysville, published by Keysville Woman's Club in 1987, shows on page 20 a photo of the hotel after the storm, without the dormers. 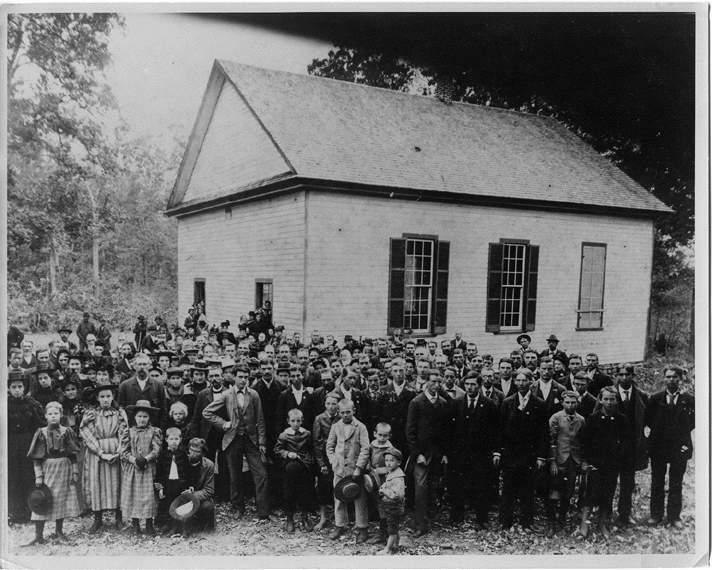 1894 Students. 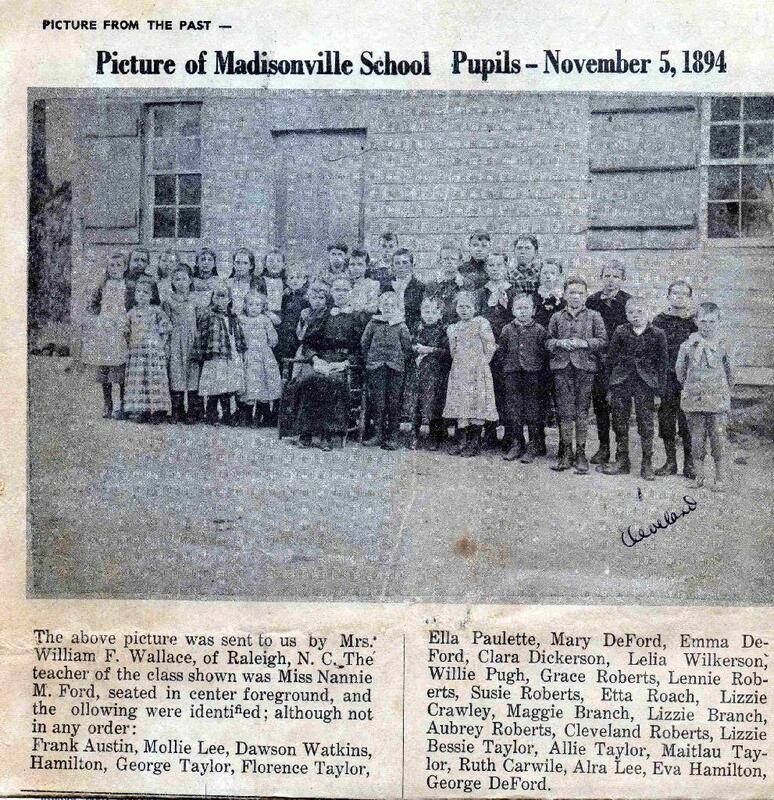 Newspaper photo listing names. located on the county line between Charlotte and Prince Edward Counties, VA, next to Mt. Nebo Baptist Church in a section called Abilene. The photo was taken in 1924. Woodlawn was built by Luther Creath Jeffress and then owned by his son, Edward Hudson Jeffress (great grandfather of the submitter).